So I’m trying this out to see if anyone would go for it. Oh woah I just noticed your title is in 3D. It hurts my eyes to view all those extra dimensions. Four dollar gift card? Score! Hah! This is really great. Have a good holiday! Keep up the great work. I love how your characters are illustrated. 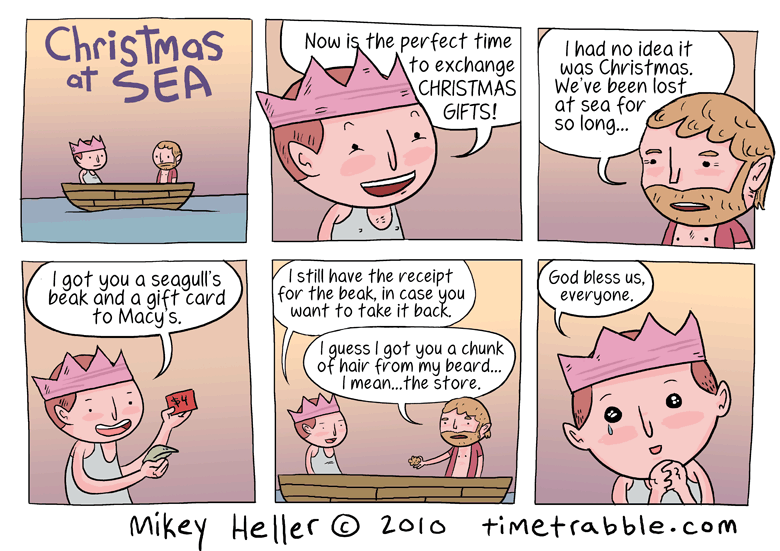 Should have been titled Christmas of the sea. Maybe make one of the characters a tuna.